In the last few days the region has had significant success in Round Two of the Australian Government’s Building Better Regions Fund with 3 regional proponents attracting funding of $95.5K from the Community Investments Stream and 7 regional proponents attracting funding of $14.9M from the Infrastructure Projects Stream. The strong results are a credit to the applicants from across the region who put in significant effort to ensure their applications rose to the top of the list. If any project proponents are interested in applying in Round Three (not yet open), please feel free to contact RDA MIW for assistance. For a full list of successful applicants, click here. The CQ Rescue project is highlighted in our grants success story section later in the newsletter. 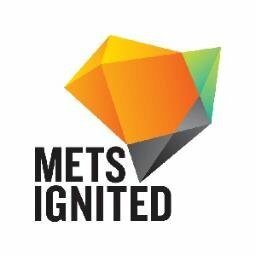 In recent months RDA MIW have also been busy working with other key regional stakeholders including Greater Whitsunday Alliance, Mackay Regional Council, Mackay Airport and CQ University on the Qantas Pilot Training Academy bid and we were thrilled to make the shortlist of 9 venues around the country. 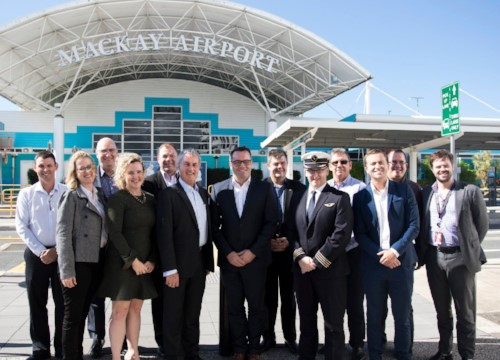 We subsequently hosted a visit from Qantas Group Pilot Academy Executive Manager, Wes Nobelius and the Qantas team in early July to further push our strong case for the Academy to be based in Mackay. Anyone can show their support for the bid by using the #MackaywantsyouQantas hashtag. RDA MIW also spent some time in Canberra in recent months as part of the Northern RDA Alliance where we were able to hold a number of key meetings advocating for our fair share of the $1.5B earmarked for Northern Australia in the broader $3.5B Roads of Strategic Importance Initiative announced by the Australian Government in its May Budget. 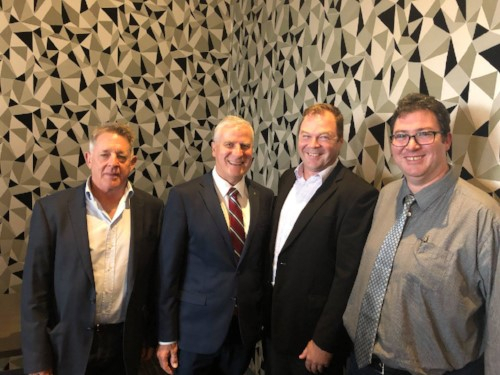 The region also hosted the Deputy Prime Minister, Michael McCormack in June, which saw another chance to advocate for key regional projects such as the Mackay Port Access Road (Mackay Ring Road Stage 2) and Goorganga and Hamilton Plains. Lack of diversification in regional economies. Key regional stakeholders with Qantas Group Pilot Academy Executive Manager, Wes Nobelius and the Qantas team in Mackay. 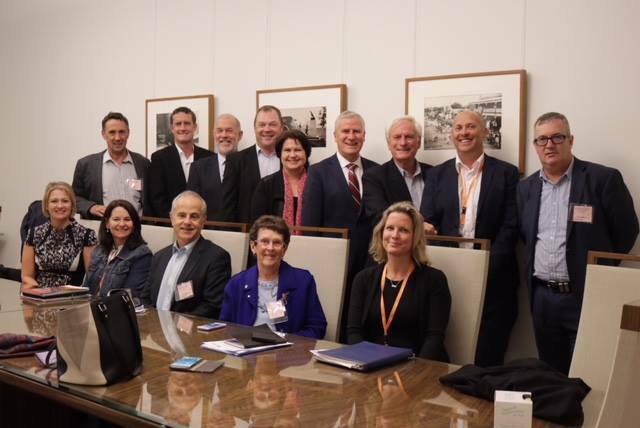 The Northern RDA Alliance in Canberra with The Deputy Prime Minister and Minister for Infrastructure and Transport, the Hon Michael McCormack MP. RDA MIW Chair, Graham Smith, with the Deputy Prime Minister, The Hon Michael McCormack, Ben Wearmouth and George Christensen MP. Greater Whitsunday Alliance (GW3) and partners, through the Advancing Regional Innovation Program, are working to chart the size and shape of the INNOVATION ECOSYSTEM in our region. GW3 needs to reach out to everyone so appropriate support can be provided, the right pathways to commercialisation can be developed, funding sourced, but above all supportive connections can be made to advance innovators and innovation in our region. Please take a few minutes to take the survey. With the announcement of successful applicants under Round Two of the Australian Government’s Building Better Regions Fund (BBRF) there were a number of grant successes that we could be highlighting in this edition of the newsletter, however I wanted to focus on RACQ CQ Rescue and their success as it provides some valuable learnings for other potential grant applicants. The RACQ CQ Rescue project first came to our attention in Round One of the BBRF where unfortunately they were unsuccessful with their application for funding to assist with new rescue crew facilities and hangar door upgrades at their Mackay based hangar. When Round Two came about, CEO, Ian Rowan and the team at RACQ CQ Rescue decided to apply again and approached Mackay Regional Council and RDA MIW to see if we could provide assistance with their application. Lesson 1: Persistence can pay off – don’t be put off by lack of success. Funding rounds are competitive and you won’t always be successful. Lesson 2: Take on board feedback from previous applications. Learn from the experience when you are unsuccessful. Lesson 3: Workshop your application with key stakeholders early. Early engagement with key stakeholders is a key to strong project planning. Lesson 4: In the application use a three-step process of “defining, quantifying and providing evidence of benefits”. Once again, we would like to congratulate RACQ CQ Rescue on their successful application and look forward to seeing their critical infrastructure project delivered in the near future, so that they can continue to provide their vital service to the MIW region. More than $4.6 million dollars will help fund innovative research projects across Northern Australia as part of the Cooperative Research Centre for Developing Northern Australia’s latest funding round announced today. Developing new systems or technologies for new or existing industries which transform the way existing supply chains operate across Northern agricultural industries. Developing new market opportunities and prospectus building. Delivering new place-based development opportunities for Traditional Owners across agriculture/ food and /or health service delivery sectors. The program will provide matched funding of up to $100,000 (minimum of $50,000) over 2 years per eligible project. Applicants must co-contribute at least 50% of the total project funds. Up to half the value of co-contributions needs to be cash while in-kind contributions can include costs such as freight costs, product and reasonable salary costs for key personnel. co-invest cash and in-kind support (e.g. product, freight) to at least the value of the grant sought. Get Playing Places and Spaces provides funding for infrastructure development so that more Queenslanders can be involved in sport and active recreation.  Eligible organisations can apply for up to $150,000 (GST exclusive). Organisations will need to contribute a minimum of 20 per cent to the total eligible project costs. Seeking to invest in innovative ideas to improve the productivity, competitiveness and innovative capacity of the sector, to deliver results on a national scale that have sector-wide impact including for SMEs. CSIRO Kick-Start is a new initiative for innovative Australian start-ups and small SMEs, providing funding support and access to CSIRO’s research expertise and capabilities to help grow and develop their business. Test a novel product or material developed by the company. Mackay Regional Council is proud to support the community with a variety of grant and funding opportunities. Grant monies were provided to sporting, arts, service, and environmental groups and individuals. The Isaac Community Grants program funds local projects, events and activities which help develop resilient, adaptive and vibrant communities while contributing to the social wellbeing of its residents, workers and visitors. The Whitsunday Regional Council is pleased to be able to provide financial assistance to community groups as part of the Community Assistance Grants Policy. The focus of the policy is to recognise the important role volunteer based organisations have in the region and how Council can best support their endeavours. Sport & Recreation Clubs Grant – this is available to sport & recreation clubs with funding based on participation levels. Facility Management Grant – this is available to organisations that manage multi use sports facilities. Conditions apply. Special Projects Grant – this is available to all incorporated community groups. The Special Projects Grants are offered in rounds during the financial year with applications up to $20,000 being considered. A series of fantastic seminars are also available to attend. The Queensland Government is offering this free Digital Business Workshop focussed on Manufacturing that is jam-packed with practical advice and you will take away the digital skills you need to grow your business. An industry briefing on the program of works announced under the Queensland Transport and Roads Investment Program (QTRIP) 2018-19 to 2021-22. This event will provide industry with a greater understanding of upcoming programs and projects, the type of skills required, the method of procurement, the likely budgets available and the timing of the work entering the market. The Mackay Isaac Whitsunday (MIW) Regional Projects Forum will feature presentations of new projects and tourism recovery projects planned and underway in the MIW region, which will offer supply chain opportunities for local businesses.